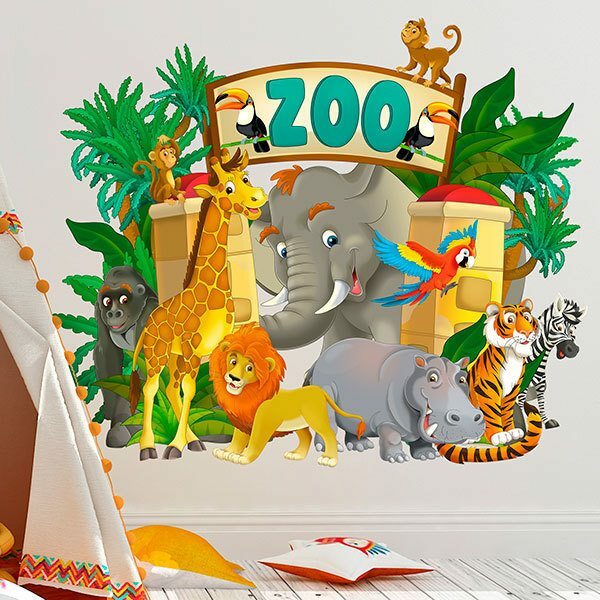 Kids wall sticker Zoo Adventure. Fantastic design for the smallest of the house and decorate their rooms in an original way. 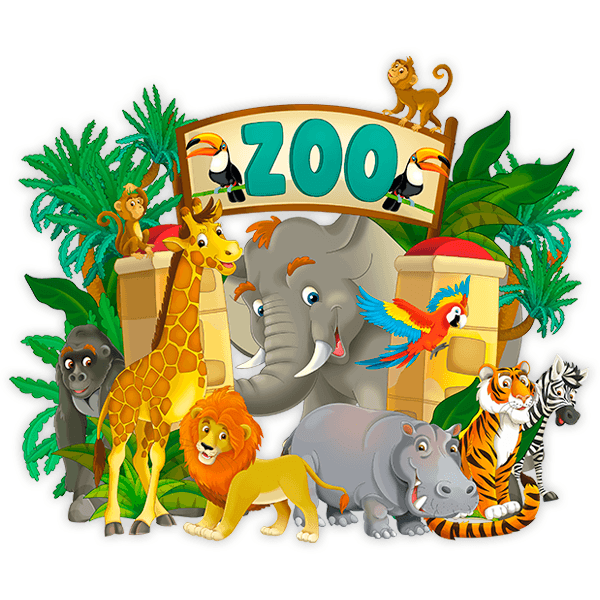 We can see in the doors of the zoo two toucans, an elephant, a lion, a hippo, a tiger, a zebra, two monkeys, an orangutan, a giraffe and a parrot. Size: 37 x 32 cm. 23.62 x 19.69 in. 27.56 x 22.83 in. 31.50 x 26.38 in. 35.43 x 29.53 in. 39.37 x 32.68 in. 43.31 x 36.22 in. 47.24 x 39.37 in. 51.18 x 42.91 in. 55.12 x 46.06 in.